Every part of the construction industry – residential, commercial, repair and other building areas – is projected to grow significantly over the next few years. Cities are expanding, housing stock is being transformed and commercial areas are shifting with consumer trends. In large cities, the residential landscape is transforming as old neighborhoods give way to condo towers. Many traditional manufacturing zones are becoming vibrant new neighborhoods. In the engineering office, planners use Building Info Modelling (BIM) software to create digital models of their projects. In the sales office, reps use online portals to bid on tenders or submit proposals. In the air above, project managers use aerial drones to survey the construction site footprint. It may seem like a lucrative time to be in construction, but the road ahead isn’t easy. The construction industry is hyper-competitive, and winning proposals cut their margins close. In fact, margins are so tight that even an unfortunate error or unexpected surprise means the project loses money. There’s a need for comprehensive software that provides a single source of accessible data for everyone in the process – estimators, project managers, and sales reps. In communities across North America, local hospitals are being revitalized with transformed buildings and new technologies. Hospital revitalizations are usually large construction projects with many stakeholders. Furthermore, they are often public projects that must follow transparent processes for bidding, awarding contracts, approving plans and ensuring delivery. The projects themselves have many phases, from the initial bidding to selecting a general contractor and seeing the new building take shape. Exploring these different phases reveals many opportunities for an effective customer relationship management (CRM) solution to deliver great outcomes for construction projects. Construction managers work hard to deliver their projects on time and on budget. However, their firms wouldn’t have any projects without estimators bidding on the jobs in the first place. This point is essential. At this phase of our hospital revitalization project, there are no shovels in the ground, yet bidding companies are already dependent on an accurate, real-time source of data. When the public tendering process opens, the estimator draws on the company’s financial records to review past projects and estimate costs. Consequently, they would benefit from a CRM system that connects seamlessly with QuickBooks accounting software, giving them direct access to both past invoices and customer records. Once the contract is awarded, the winning firm gets to work collaborating with the hospital’s project committee to develop a comprehensive plan with hundreds of milestones. What are we paying for trades and sub-contractors? How frequently are the payments coming in? Which projects were below budget or above budget? Furthermore, the points of contact are almost endless as the firm works through design, permitting and licensing. It’s a lot of customer and partner data to keep organized. This is another area where a dependable CRM platform comes into play. As the winning firm starts connecting with its new customer contacts, as well as adding subcontractors and partners, it needs a reliable solution to track all those relationships while sharing them easily within their team. Now it’s finally time to break ground, put up walls and build something great for the community. Are subcontractors part of your project team? Yes, absolutely. Are they independent entities? Yes, absolutely (again). So, is each subcontractor relationship actually a discreet client-service provider relationship inside a much larger process? Yes, absolutely (for a third time!). An effective CRM platform helps to manage those relationships. And it’s even better if the CRM integrates with QuickBooks so the contractor can process transactions and track the project performance in real time. A big hospital transformation can have incredible outcomes, but getting it done right means managing thousands of moving parts. Successful constructions companies need a comprehensive solution to manage countless data points. Every person in the company, from the estimator to the project manager, must be able to rely on the platform for data on contracts, customer relationships, costs, and transactions. The estimators and project managers cannot ask for access to the company’s QuickBooks data every time they need to view an estimate or issue an invoice. They need the ability to create transactions quickly and conveniently. Team members cannot access data from different sources. They need a “single source of knowledge” that every person in the company can refer to in real time, where the information is always up to date. This system must contain data on customer accounts, orders, deliveries, transactions, costs, and payments. The customer and transaction data must come directly from the company’s accounting software. Relying on manual data entry is risky because even the slightest error can mean the project misses the mark. Between surveying the job site, meeting with the project team, reporting to the C-suite or meeting with sub-contractors, your team members are rarely in the same place for long. In today’s fast-moving marketplace, your solution of choice must include a mobile app to make sure everyone stays connected. 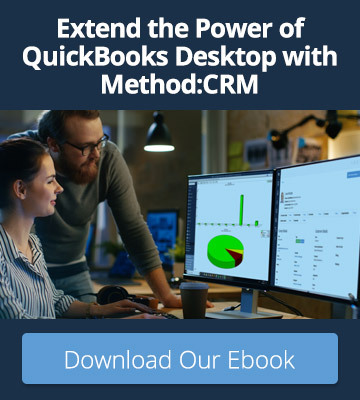 With Method:CRM, the financial and customer data in your CRM is accurate and dependable because the system integrates seamlessly with QuickBooks. 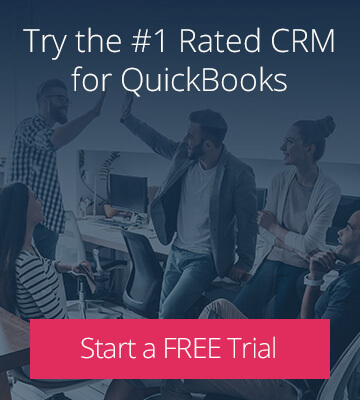 The benefit is immediate because the moment you sign up, your QuickBooks data automatically syncs to the Method platform. Moving forward, the connection provides a real-time, two-way sync. Method:CRM offers a 360-degree view of all your contacts, including those synced from your QuickBooks file as well as those you add as your project progresses. Method:CRM’s mobile app for iOS and Android allows your whole team to stay connected and up to date, no matter where they’re working. With all of these benefits, Method:CRM is the ideal tool for a growing construction company tackling big projects. Sign up for your free 30-day trial today! 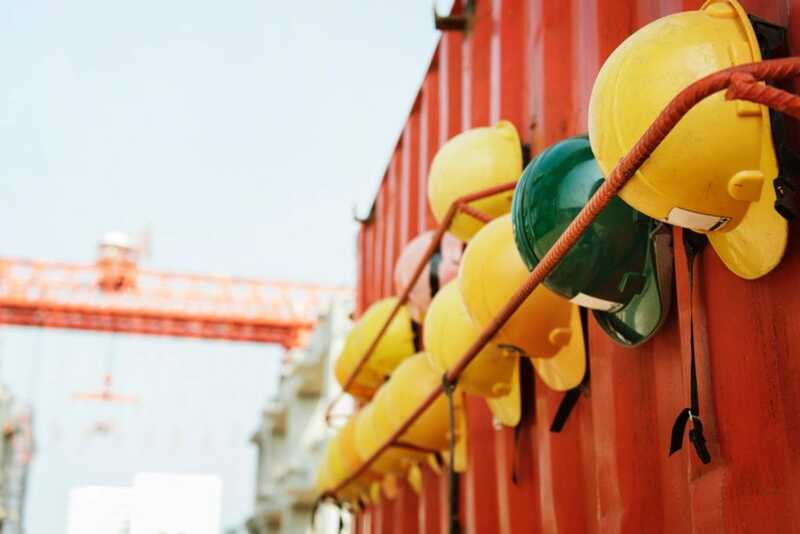 Ready to get started with a construction CRM?